We are a public, tuition-free, college preparatory charter school serving a diverse population in Watts, California. Our mission is to help transform public education so ALL students graduate prepared for college, leadership, and life. Welcome to Animo Watts College Preparatory Academy! Our Warrior staff and faculty are honored to serve the Willowbrook, Watts, Compton, and South Los Angeles Community. 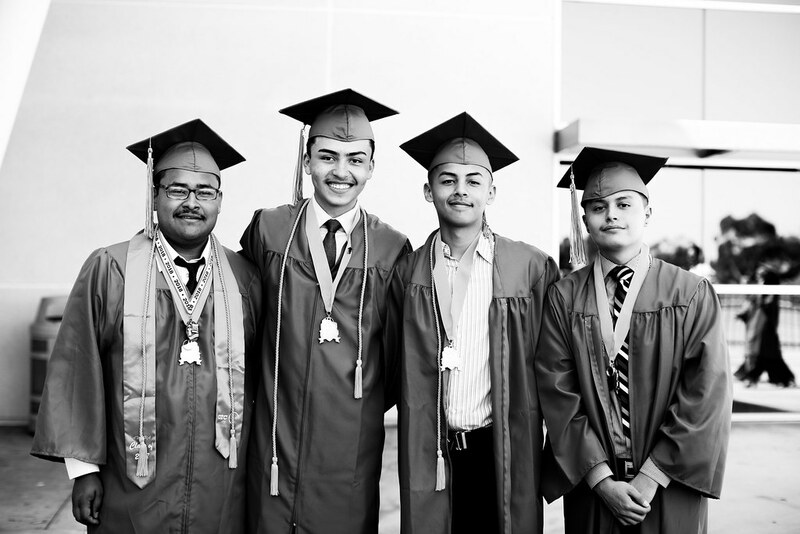 For over 10 years, we’ve transformed worked hard to improve our graduation and college acceptance rates. This year, our theme is “Warriors Climb Higher” and we are focusing on Academic Excellence, a College-Going Culture, and Effective Interventions. We know that by climbing higher, we will further transform the educational opportunities for our students. At AWCPA, we firmly believe that all stakeholders are critical in the education process. Please call, email, or visit our main office if you have questions about our school, or would like to discuss your current or prospective student. This is Dr. Esther Deth’s 10th year at Animo Watts College Preparatory Academy. She joined the team as an English teacher in 2009 and became an Assistant Principal in 2014. For her, Animo Watts is home. Dr. Deth believes that all students deserve a quality education, regardless of where they were raised. This belief is very personal, inspired by her own years as a student in LA County public schools. For Dr. Deth, one of her greatest joys has been seeing former students graduate from college and pursue their professional dreams. She is honored to serve as Principal and continue seeing more Warriors receive their college degree. Dr. Deth was born in Guatemala and grew up in Inglewood and Long Beach. She attended Long Beach City College before transferring to the University of California, Los Angeles to complete her degree in American Literature & Culture. At UCLA, she realized she wanted to help students who came from neighborhoods like her own recognize that college is not only attainable, but also crucial. She enrolled in graduate school and received her teaching credential and Masters in Education from UCLA. In 2018, she received her Doctoral degree in Educational Leadership from the University of Southern California. She is married, so you might remember her as Ms. Hamm if you’ve been around AWCPA for a few years. Join us on campus for Coffee with the Principal meetings.